With the students’ growing interest in everything round, we decided to try our hands at making our very own, homemade bouncy balls. We found a simple recipe online and decided to give it a shot. 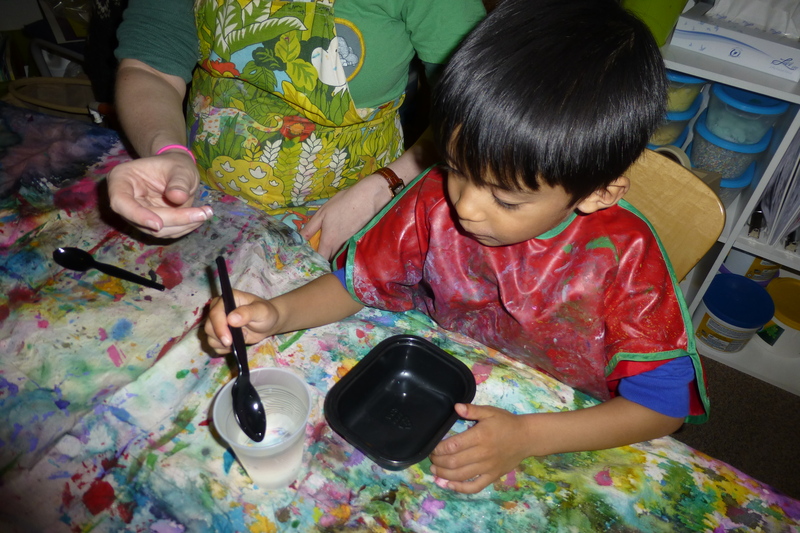 The ingredients include borax, glue, cornstarch, lukewarm water, and some food coloring. We discussed how the recipe tells us what ingredients we will need and when/how we need to add them. Many of the students wondered how the ingredients would eventually become bouncy balls. “How is it going to be round?” one child asked. “It will just look like water!” another child exclaimed. But sure enough, when we added all of the ingredients together at the end, a slimy gunk started to form at the bottom of their bowls. Once they couldn’t stir any further, the students pick up the gunk and started to shape it into a ball. 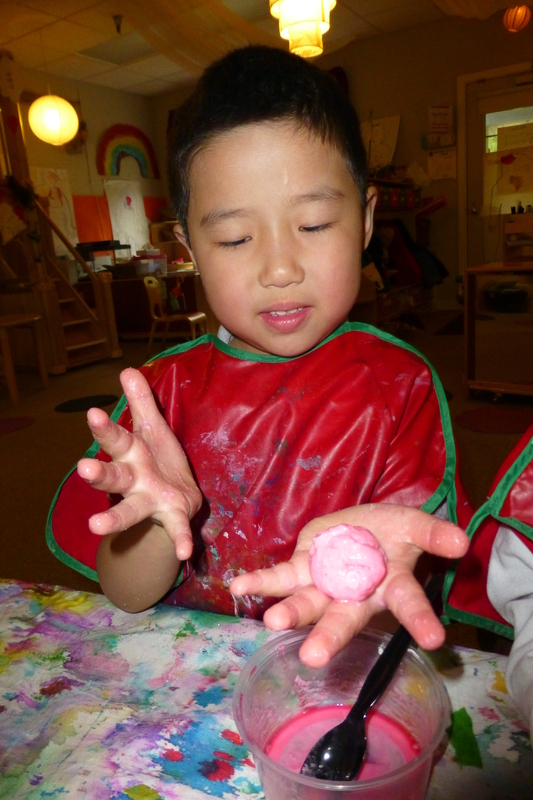 Before they knew it, they had made their very own (sort of round) bouncy balls! The only problem with the project was that the bouncy balls had the tendency to take the shape of whatever they were placed in. They flatten on a drying board, become square-shaped in an egg carton, and cone-shaped in a plastic baggie. Thankfully, they can be reformed quickly with a little bit of extra shaping before the bouncing can commence. The recipe does suggest placing the ball back into it’s zip-lock bag when it is not being used. All students will be permitted to bring home their homemade bouncy ball once they have completed the project.